Once relegated to the margins of the art world, so-called "outsider" art is attracting a much wider collector base these days. Indeed, the genre itself has expanded to vaguely include all self-taught artists and creatives working on the fringes of mainstream society, and interest in the field has grown by leaps and bounds, evidenced in no small part by the rapid expansion of the Outsider Art Fair. The New York edition, which runs 17-20 January at the Metropolitan Pavilion in Manhattan, launches this year with 65 exhibitors, up from only 30 in 2018. The boom in interest from top collectors and institutions has been welcome, though the mainstream attention fueling the field is creating price disparities in the marketplace. Scott Ogden, who is showing works made from the 1930s-1960s by patients of a British mental hospital ($3,000-$7,000) at the Outsider Art Fair this year, says he has often noticed in recent years “some of the same contemporary collectors as you’ll see at the other major fairs.”; many of whom are established artists themselves, such as KAWS, but also A-list collectors like Agnes Gund. It is as a positive step toward establishing a broader market base for self-taught artists, but Ogden adds that he would like to see the fair positioned as an “annex to something like a Frieze or Untitled” to better bridge any gaps between mainstream and marginal. Yet when the fair was moved to coincide with Frieze New York in 2014, Andrew Edlin, the fair’s organizer who maintains a gallery in New York, quickly reversed the decision due to low turnout and a lag in sales. 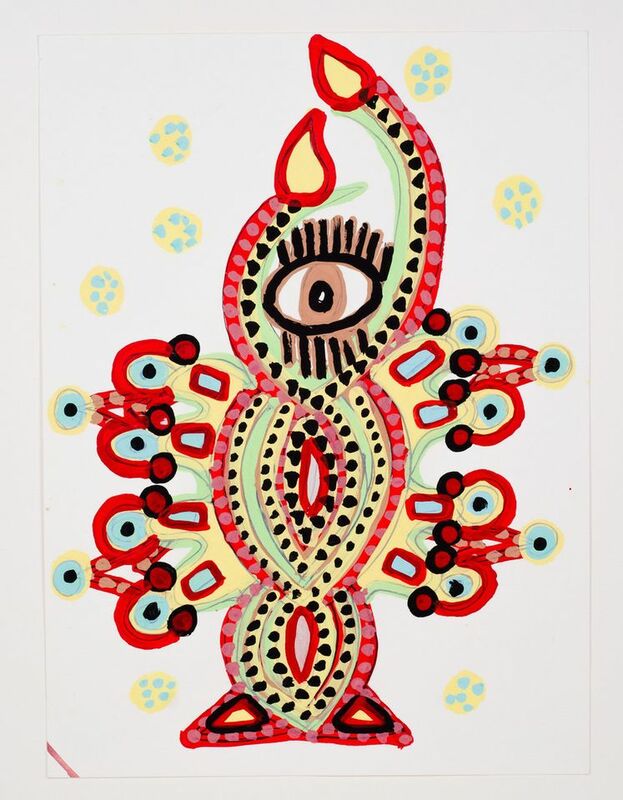 Sales of outsider art overall have seen an uptick just within the last few years. The major auction houses have initiated dedicated outsider art sales, where works by the likes of self-taught Alabama artist Bill Traylor and folk-art sculptor William Edmondson have reached six figures. Indeed, Christie’s will host its fourth annual Outsider and Vernacular sale on 18 January, where a surreal drawing by Henry Darger is estimated to fetch $500,000. While the field has gotten much “slicker” through more vigorous vetting by auction houses and fairs alike, veteran Philadelphia-based art dealer John Ollman of Fleisher/Ollman gallery says he is concerned that the increasing alignment of outsider with contemporary art could ultimately put a ceiling on price growth, adding that some exhibitors insulated from the mainstream art market still don’t know how to “elevate the work” on a more traditional commercial sales platform, which the Outside Art Fair is rapidly becoming.